Mango peach lipstick. 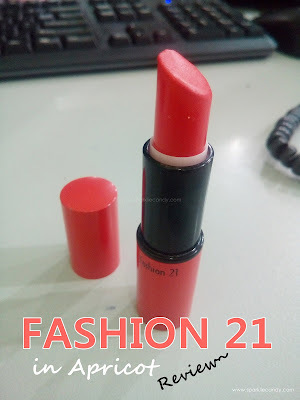 Say hello to Fashion 21 Peach Perfect Lipstick in Apricot! I got this lipstick for a while now, but I find it really nice that is why I decided to share it with you. A wearable coral orange color for everyday use. 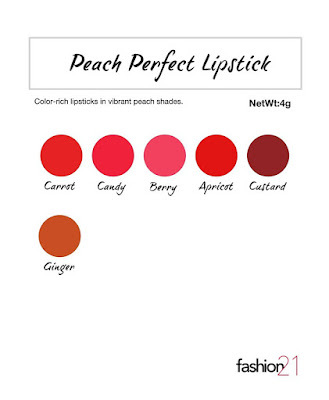 Peachy colors are great for a little pop of cute, youthful color and go perfectly with fair and warm skin tones. Choose from any of the six shades and be ready to greet the day with a bright smile. Orange plastic tube with nice orangey shade same with the actual product. Mehehe~ Shade name is written at the bottom. This shade has been complimented a few times already. The color is quite eye catching. It does stand out among the crowd. On application I don't swipe it on my lips, I just dab dab dab the lipstick until I get my desired color. It lasts at least 2-3 hours with no eating or drinking. 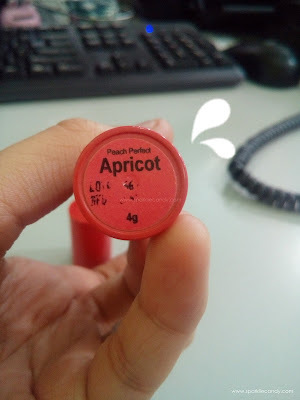 I has no scent and no taste which is great if you are like me who don't like scent or taste with lip products. Its creamy matte but sissie finds it dry for air conditioned environment. 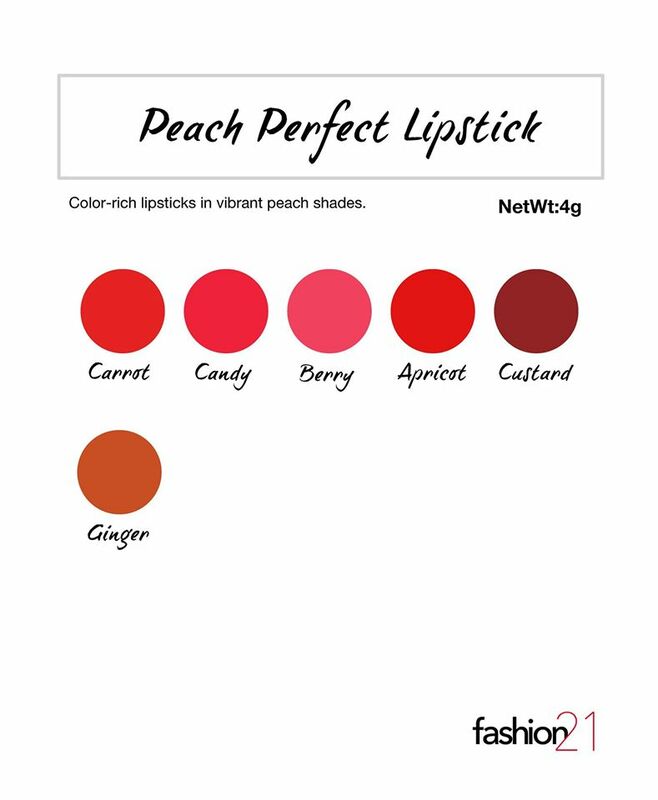 I often pair this lip color with peach or orange blusher and I look warm. 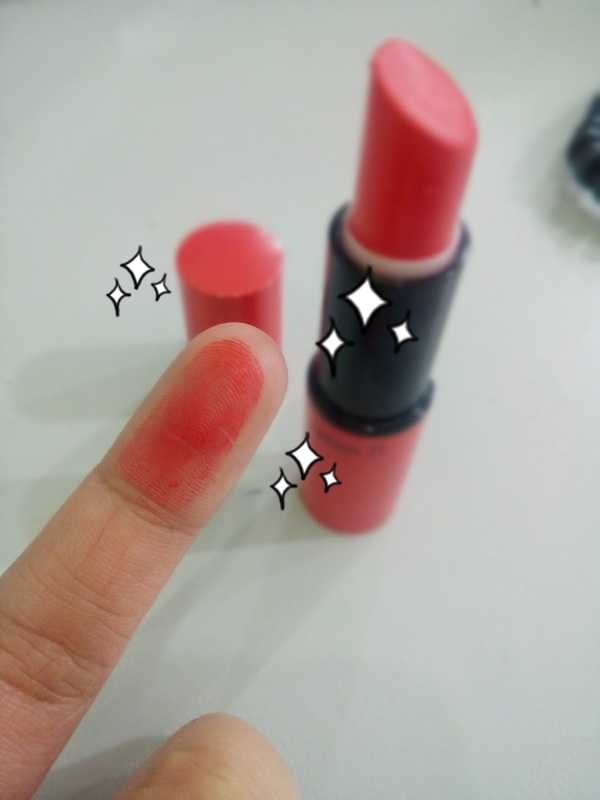 I try to alternate peach and pink blusher sometimes. I think this color will be perfect no matter if you are fair or tanned. Bang for the buck lipstick. 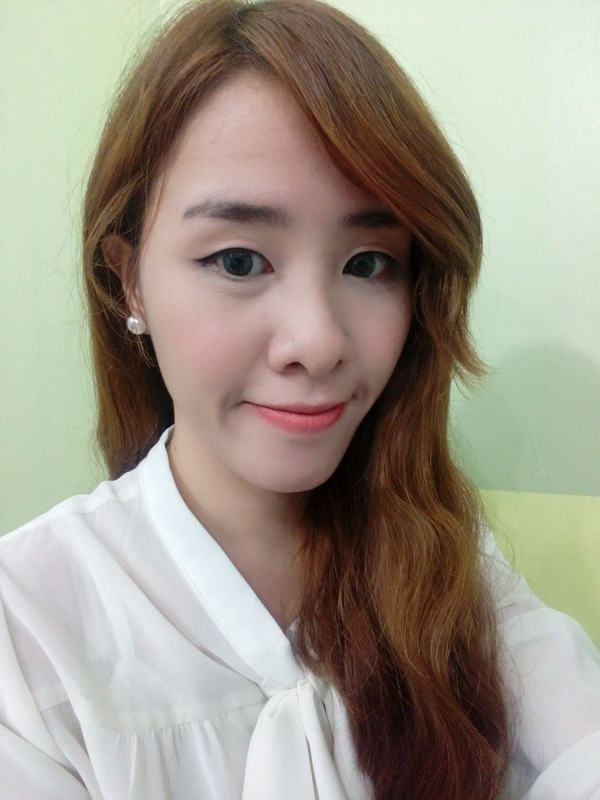 I want to try a lighter peach shade next time.